The speed limit in the Inner Harbour at Cowes is 6 knots through the water. 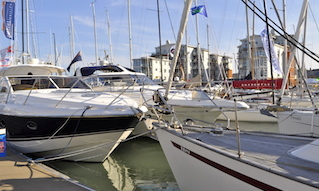 Every vessel navigating the Inner Harbour of Cowes or within 100 metres of the Mean High Water Mark shall unless otherwise authorised by the Harbour Master in writing, subject to the requirements of maintaining adequate steerage way and control, be navigated at a speed not exceeding 6 knots through the water. All harbour users are reminded of the requirement to, at all times, proceed at a safe speed and not to produce wake or wash that could cause a nuisance to other river users. 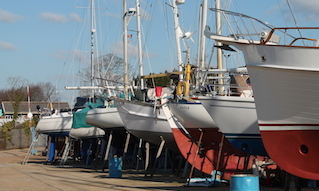 The harbour is not just used by ships and well founded boats, tenders and dinghies are also commonplace, many of which have a low freeboard and could easily be swamped. You don't want to be responsible for sinking a family in their tender on the way out to their boat moored on a swinging mooring. 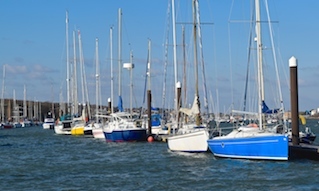 The marinas and pontoons, which line the fairway, accommodate a range of vessels which are susceptible to damage from excessive wash and wake; be considerate, 6 knots through the water is a limit and not a target. Remember to look behind you and check your wash, a motor boat or rib may well produce more wash at 6 knots than it does on the plane so reduce your speed even further. Users are reminded of Cowes General Directions 3.2 and 3.3 concerning the speed limit and wash within Cowes Harbour. A vessel found to be in wanton breach or which causes damage or injury may find themselves in court and on summary conviction could be fined up to £2,500. 3.2.1. 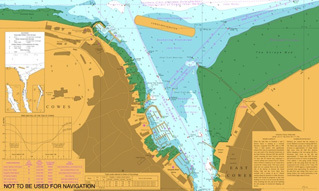 Every vessel navigating the Inner Harbour of Cowes or within 100 metres of the Mean High Water Mark shall unless otherwise authorised by the Harbour Master in writing, subject to the requirements of maintaining adequate steerage way and control, be navigated at a speed not exceeding 6 knots through the water. 3.2.2. Complying with the maximum permitted speed will not exonerate the Master of any vessel from the responsibility of reducing speed as necessary in the observance of normal practice of safe seamanship. 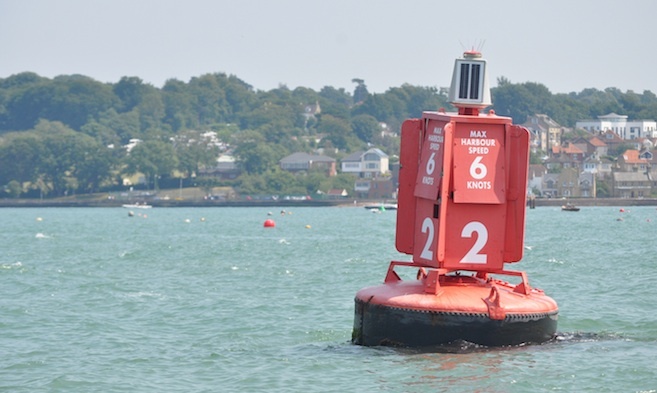 This includes, but is not limited to, when passing mooring trots, pontoons, vessels alongside quays, jetties or pontoons, vessels engaged in maritime works and when approaching the Cowes Chain Ferry. Vessels shall at all times be navigated with care and caution and in such a manner so as not to endanger the safety of other persons or cause nuisance to the occupants of any other vessel, person or property. 3.3. Wash - A vessel shall not be navigated or manoeuvred in any part of the Inner Harbour or within 100 metres of the shore in a manner or at a speed so as to cause wash to be generated that may cause damage to or endanger the safety of other persons, vessels or property.